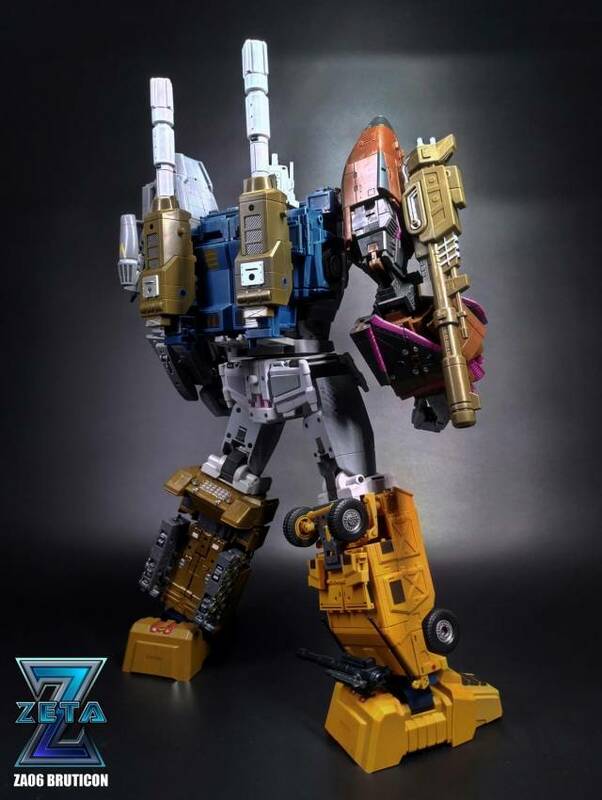 Zeta Toys - ZA-06 Bruticon Set of 5 Figuresincludes all 5 Zeta Toys figures to form the mighty Bruticon! 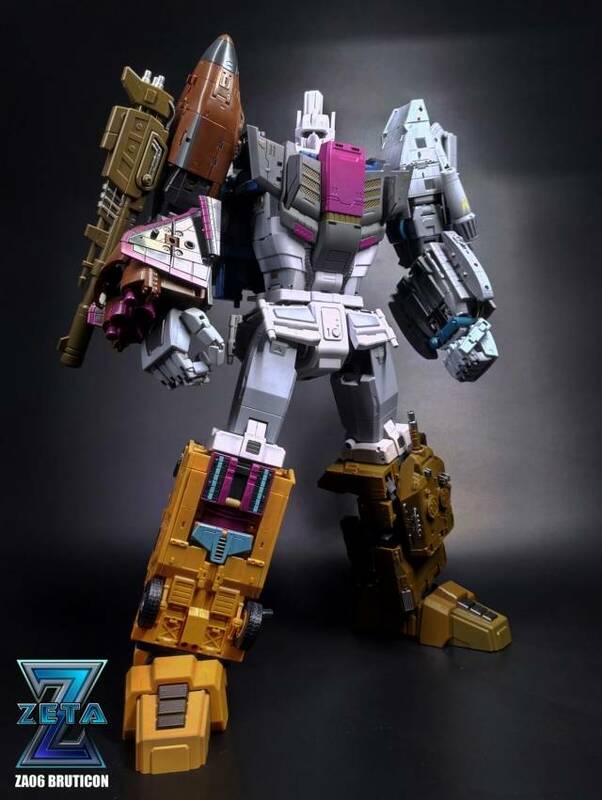 Bruticon one of the largest combiners ever stands approximately 22" / 55CM tall in combined robot mode! Set includes: Blitzkrieg, Racket, Uproar, Whirlwind and Takeoff in giftset packaging. Each figure transforms from robot to a military vehicle and back plane and back! 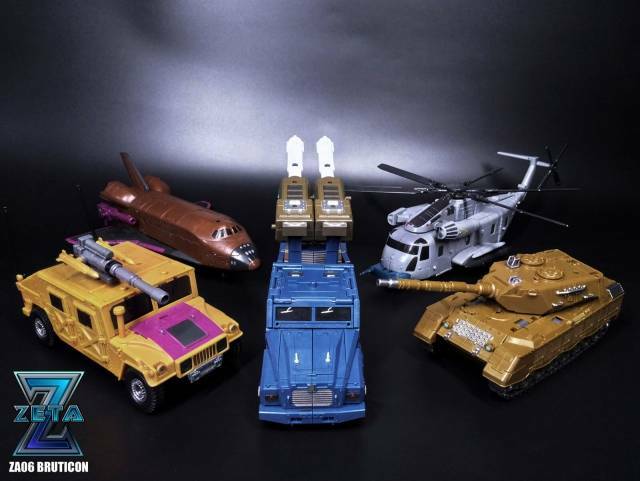 4 smaller vehicles stand 8.3"/21CM tall in robot mode, Blitzkrieg stands 10"/26 CM tall in robot mode and each figure is approximately Masterpiece scaled. Each figure includes combiner parts and weapons as shown. 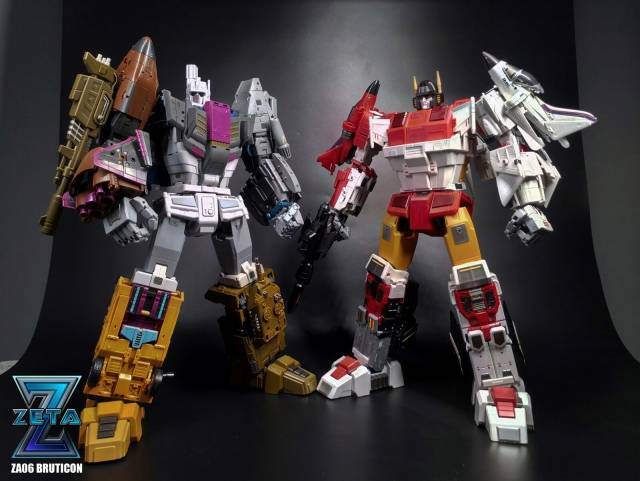 - Combiner Parts and accessories. Note: due to oversized box, this item cannot be shipped to the following countries unless shipped by fedex/ups and there is a significant extra shipping charge: Vietnam, Argentina, Bolivia, Brazil, Brunei, Bulgaria, Cameroon, Cape Verde, Chile, Colombia, Costa Rica, Ecuador, Hungary, Iceland, India, Israel, Jamaica, Kazakhstan, Mexico, New Zealand, Pakistan, Peru, Philippines, Poland, Qatar, Saudi Arabia, Serbia, Republic of, Singapore, South Africa, Thailand, Turkey, Ukraine, United Arab Emirates, Venezuela. Please email us for a shipping quote if you would like this item to ship outside of the US and you would like to confirm actual shipping costs. Popular preorder items often pre-sell out and are available in very limited quantities. 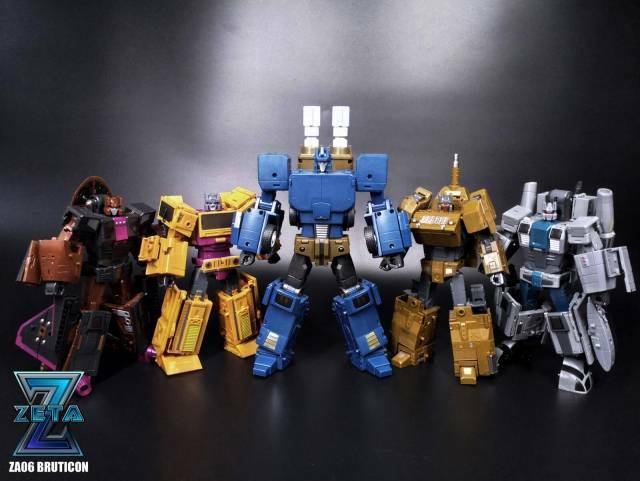 ToySource always encourages customers to commit to preordering items as soon as possible after a new preorder is available for sale on our site. For more information on preorders please read our preorder FAQ.